In the past five years, there has been a wave of publications and films on radical psychiatry in the UK, the US and Italy, providing us with a much more detailed picture of these movements and the national cultures that generated them during the 1960s and 70s. 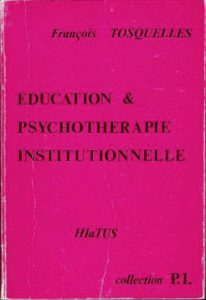 We still know comparatively little about the French tradition of Institutional Psychotherapy (IP), its theoretical complexity and its experiments in therapeutic practice. In this post, Katie Joice interviews Camille Robcis, who is writing a new history of IP, tentatively entitled Disalienation: Institutional Psychotherapy and the Psychiatric Revolution in Postwar France. Institutional psychotherapy (IP) is a psychiatric reform movement that began during the Second World War, in a small town of central France called Saint-Alban. The doctors and the medical staff at Saint-Alban had two main motivations. First, they were appalled by the state of psychiatric hospitals during the war. In France 40,000 psychiatric patients died from food shortage, rationing, and harsh living conditions. As we now know, these deaths were not only due to hunger and cold, but also to a specific policy of extermination geared towards the mentally ill that the Nazi State promoted, and the Vichy Regime silently endorsed. Many of the doctors who ended up at Saint-Alban during or right after the war had fled fascism, participated in the Resistance, or been imprisoned in concentration camps. They observed a similar “totalitarian” or “concentrationist” spirit within the psychiatric hospital, refused to be complicit, and called for more humane practice. Second, most of these doctors were frustrated with mainstream psychiatry, with its biological essentialism, its exclusive focus on the brain, and its rejection of psychoanalysis, sociology, and anything else that could illuminate the patient’s familial and social background. For the practitioners of IP, alienation was always psychic and social at the same time. If psychiatry was to be a form of dis-alienation, then it needed to operate on both levels: the psychic and the social. 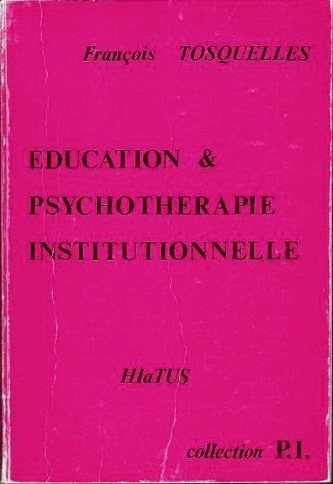 Who were the key theorists and practitioners of Institutional Psychotherapy? If there is a ‘founding father’ of IP it is probably François Tosquelles, a Catalan psychiatrist who fled to France in 1939 to escape the Franco regime. In Barcelona, prior to the war, Tosquelles had been one of the first members of the POUM, an anti-Stalinist, anarchist-inspired group that advocated federalism, decentralization, and the idea of permanent revolution. During the Spanish Civil War, Tosquelles fought on the side of the Republican army and after Franco’s victory in 1939, he escaped to France where he was placed in a concentration camp for Spanish refugees. Both at the front and in the camp, Tosquelles set up therapeutic communities to treat the combatants and the refugees. These experiences convinced him that psychiatry could be practiced anywhere, even “in the mud” as he liked to say. Living through the war and the camps had also persuaded Tosquelles that Fascism and totalitarianism affected the psyche in crucial ways. When he arrived at Saint-Alban, Tosquelles joined other Communist or left-leaning psychiatrists (e.g. Lucien Bonnafé, André Chaurand, Georges Daumézon, Louis Le Guillant) who were also horrified by the state of psychiatry during the war. These became the first practioners and theorizers of IP. Most of these doctors were very well-versed in psychoanalysis, in philosophy, phenomenology, and Surrealism. In fact, the poet Paul Éluard hid at Saint-Alban during the war for several months, as did the historian of science Georges Canguilhem. Saint-Alban also became a point of interest for visual artists associated with the movement of art brut such as Auguste Forestier and Jean Dubuffet, who believed that psychosis could produce less mediated, more authentic, art forms. Another important resident was Frantz Fanon who lived at Saint-Alban between 1952 and 1953 after completing medical school in Lyon. Tosquelles’ experiments confirmed many of the philosophical hypotheses that Fanon had put forth in his early work, especially “The North African Syndrome” and Black Skins, White Masks. In particular, Fanon had argued that the psyche and the social were structurally linked, that colonialism and politics more generally had direct psychic effects, and that psychiatry could – and should – be political. Tosquelles had a profound influence on Fanon who relied on institutional psychotherapy in his medical practice at the psychiatric hospital of Blida-Joinville in Algeria between 1953-1957, and later in Tunisia. Among the first residents at Saint-Alban was also Jean Oury, who in 1953 founded the Clinic of La Borde in Cour-Cheverny. 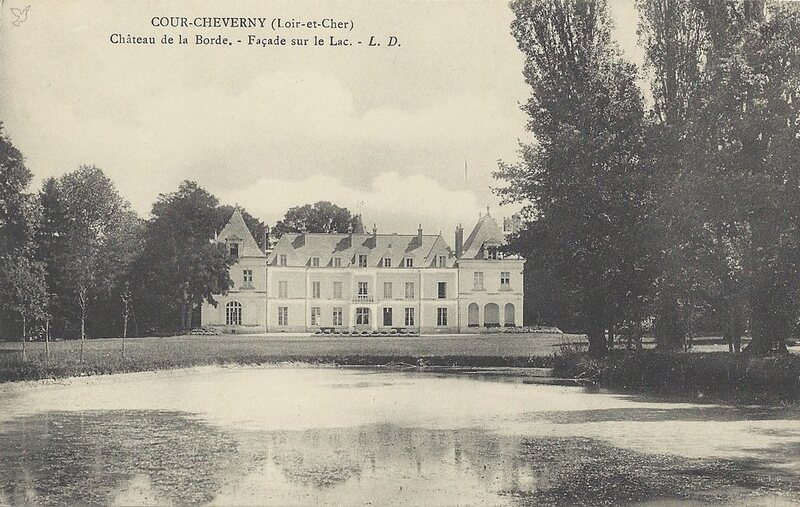 Throughout the 1960s, La Borde became a somewhat mythical destination in the French intellectual world, as it welcomed philosophers, artists, writers, and filmmakers, in addition to medical personnel. Fernand Deligny, the educator and film director, spent several months at La Borde before moving to the Cevennes where he tried to implement a new form of living in which autistic children could thrive outside of the pathologizing gaze of medicine and society. La Borde also famously provided a home of the philosopher, psychoanalyst, and political activist Félix Guattari, who worked at the clinic from 1955 until his death in 1992. For Guattari, the type of psychiatry performed at La Borde was in perfect continuity with his political and philosophical activity. It provided a terrain upon which to think through the role of the institution as a social and subjective ‘anchor’, and to envision radically horizontal, anti-authoritarian, and “de-territorialized” spaces. Where, politically and intellectually, does IP fit in the spectrum of anti-psychiatric thinking? The practitioners of IP were adamant about distinguishing their practice from anti-psychiatry. To be sure, they read all the major texts of anti-psychiatry (David Cooper, R.D. Laing, Franco Basaglia, etc) as well as the works of Michel Foucault, Erving Goffman, and Robert Castel, but they remained overall quite critical of this current of thought. For many proponents of IP, anti-psychiatry had failed to understand the reality of mental illness. IP never contended that psychosis was merely a social or cultural construction. In this sense, IP was always open to neuroleptics and even, at times, to electroshock. Medicine and neurology needed to be involved in the general treatment – they just needed to be complemented with psychoanalysis, social theory, and aesthetics. I would say that the main difference between IP and anti-psychiatry revolves around the role of the institution. As its name indicates, IP believed that institutions were necessary for all psychic and social formations. The problem for IP was that institutions had the potential to become “concentrationist” – authoritarian, oppressive, and stagnant. Thus, the goal of IP was to imagine a philosophy, a social theory, and a practice of everyday life that would prevent the reappearance of these political and psychic “concentrationisms,” structures that could be constantly rethought, reworked, and remapped. The hospital, in other words, was absolutely necessary for the treatment in IP. In my book, I argue that the hospital functioned as a “laboratory of political invention,” as a space to conceive a new “common,” a radically horizontal politics committed to the systematic destabilization of centers and authorities – a permanent revolution of the social and the mind at once. Anti-psychiatry was much more interested in closing down hospitals and abolishing institutions. What is the relationship between psychiatry and psychoanalysis in IP? For IP there was no conflict or contradiction between psychiatry and psychoanalysis. Rather, these were complementary disciplines that needed to work together in the understanding of psychosis. More specifically, IP relied extensively on two psychoanalytic notions: the unconscious and transference. According to the practitioners of IP, only a Freudian understanding of the unconscious could take into account the interactions of biological, social, familial, linguistic factors, the important of the fantasmatic, and the role of drives in the construction of the self. As Freud contended when he invented psychoanalysis at the end of the nineteenth century, transference was the cornerstone of the psychoanalytic clinic. The patient’s affective bond with the analyst functioned as a conduit to study the structure of his or her broader intersubjective relationships. Freud, however, was forced to reconsider his notion of transference when it came to psychosis because here language and intersubjectivity operated in a radically different ways. As Jacques Lacan would later put it, psychosis was characterized by the foreclosure of the Symbolic order. Freud concluded that psychoanalysis was primarily a theory of neurosis rather than psychosis. 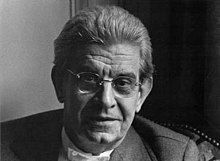 Lacan began his career as a psychiatrist focusing on psychosis and in his 1932 doctoral thesis Paranoid Psychosis and Its Relation to the Personality, he insisted on the idea that psychosis was the product of a complex interaction of neurological, biological, psychological, and social factors. Thus, psychiatry’s obsession with locating a single cause on the brain was simply absurd. Lacan’s work and his attention to language and the Symbolic especially, provided foundational references for the practitioners of IP. The goal of IP was to take Lacan’s “return to Freud” one step further and to explore how psychoanalysis could be useful for psychotic patients within the confines of the hospital, and not just in one-on-one sessions. According to IP, in the case of psychosis, transference was not intersubjective as it was with neurosis: it was collective. Tosquelles referred to it as a “burst transference” [transfert éclaté]; Oury as a “transferential constellation”; Guattari as a “transversality.” The social remained the most significant space to observe the operations of this psychotic unconscious, to analyze the projection of desires and fantasies, to study identifications, and to eventually try to work with them. These were the theoretical premises that guided Tosquelles and his colleagues at Saint-Alban as they set up a series of concrete practices that would favor this transferential constellation, and reconfigure the social: group therapies, general meetings, self-managed unions, ergotherapy workshops, libraries, publications, and a wide range of cultural activities. The idea was to constantly imagine and reimagine institutions that would produce new vectors of transference, different forms of identifications, and alternative social relations. Every hands-on experiment, in other words, also had a therapeutic purpose and every therapeutic intervention was always grounded in practice. What can IP teach us about the relationship between politics and the psyche, both during the Cold War and today? I think that the context of the Cold War is central to understand the development of IP. For many of these thinkers, psychoanalysis offered a political alternative to the two major political models of the twentieth century, liberalism and Marxism, neither of which had been able to counter the appeal of fascism. Liberalism, on the one hand, clung to the assumption that voters would ultimately act as rational beings motivated by clearly-defined interests. In this context, the irrationalism of fascism, its appeal to a transgressive and sublime violence, and its promise of regeneration of the social body, made little sense. Marxism, on the other hand, continued to dismiss fascism as a displacement of a more accurate material reality, whether it be class interest, capitalist hegemony, or social structure. Yet, by 1945, it had become increasingly difficult to maintain that ideology was exclusive to the ruling classes or that it would disappear with the advent of the revolution, once workers acquired the means of production, as the Soviet example indicated. Psychoanalysis allowed these political thinkers to move beyond rationalism and ‘false consciousness’, and to take desire seriously. If European voters had embraced fascism in the 1930s, it was not despite its irrationalism but because of it. The point was not to oppose the psychic to the political but rather to understand how to the two intersected and overlapped. This was extremely important for Tosquelles and his colleagues at Saint-Alban who were writing during or in the immediate aftermath of the war, but also for the “second generation” of IP, especially Guattari. Guattari insists on the double nature of alienation (psychic and social at once) in Anti-Oedipus, which he co-wrote with Gilles Deleuze right after May ’68. For both thinkers, this had been an aborted revolution. The desire that had sparked the revolt, a desire that was palpable in the students’ initial demands, was immediately crushed – and not only by the right, but more significantly by the left itself, by the unions and the parties that preferred to settle and negotiate with the government rather than taking the revolution to its full consequences. Thus, for Deleuze and Guattari, if people continued to vote against their interest and to sabotage their potential emancipation, it was because they had been conditioned – unconsciously – to think and act in particular ways. The real threat was no longer the fascism of Hitler and Mussolini, but as Michel Foucault put it in his preface to the book, “the fascism in our heads,” the fascism that causes us to “love power, to desire the very thing that dominates and exploits us.” “Oedipalization” and the heterosexual family was one of the many forms that these “fascisms in our heads” took. In many ways we are still struggling with the same problem, the “What’s the Matter with Texas” phenomenon, as we have labeled it here in the United States. Can we move beyond the model of false consciousness to try to understand why people act the way they do, how their desires are mobilized, channeled or repressed? These were foundational concerns for the Left during these years – or at least for the Left close to IP. As Foucault put it, “How does one keep from being fascist, even (especially) when one believes oneself to be a revolutionary militant? How do we rid our speech and our acts, our hearts and our pleasures, of fascism? How do we ferret out the fascism that is ingrained in our behavior?” How do you reimagine life so that it is systematically anti-Oedipal? This is exactly what IP sought to do through the reorganization of the hospital. 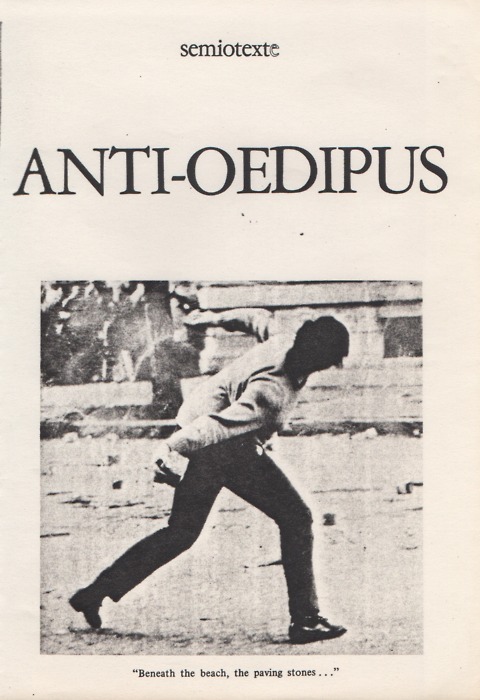 Like Anti-Oedipus, IP was conceived as an ethics, a practice of everyday life. Is IP still practiced in any form today? Yes, but it has become very marginalized. To the chagrin of many of those who lived through the glory days of IP in the 1960s and 1970s, Saint-Alban has turned into a conventional psychiatric hospital. La Borde is still operational but the death of Jean Oury in 2014 has left a huge vacuum. There are still a few centers and clinics scattered in France that have remained faithful to the principles of IP, for example the Centre Artaud in Reims, directed by Patrick Chemla, or Pierre Delion’s practice in Lille. I know of a few clinics in Spain and Italy also but would love to find out whether IP is still practiced anywhere else in the world. The journal Chimères which was founded by Deleuze and Guattari has also continued to think about IP or schizoanalyses, to use their term. Many on the editorial board are clinicians and the others philosophers, all still wrestling with the questions of IP. How do you think figures such as Guattari and Tosquelles would react to current psychiatric orthodoxies? I imagine that they would be horrified. Oury certainly was, as he conveyed to me when I met him in 2013, the summer before he passed away. I think now more than ever we really see the close link between the psychiatric and the carceral: patients being tied down when they are not numbed by drugs and waiting in isolation for the doctor to come by for ten minutes a day. That said, I also think that several of the ideas of IP have entered the mainstream, at least in France. For example, sectorisation, the idea that you can be treated near your home, was originally put forth by the doctors at Saint-Alban, before the Ministry of Health adopted it as a law in 1960. Similarly, for many psychiatrists, the possibility of including psychotherapy or psychoanalysis in a treatment is not necessarily shocking. So IP is certainly no longer vibrant like it was at Saint-Alban or at La Borde but perhaps it did actually have a significant impact on the medical community. One of the questions that I am hoping to understand in my book is why IP ended and why the Left lost interest in the unconscious. Was it the rise of neo-liberalism, especially if we understand it as Foucault and Wendy Brown have taught us, as a governing rationality which also interpellates desire, fantasy, and identification, but in new insidious ways? Was it the “turn to the brain” within the neuro-disciplines that made psychoanalysis and Freud’s theoretical apparatus seem irrelevant or outdated? Or was it rather something intrinsic to these leftist politics of desire themselves – perhaps their deconstructive or anarchic inferences – that was ultimately at the root of their exhaustion after the 1970s? I’m not sure but I’m hoping I will have an answer by the time the book is finished! Camille Robcis is Associate Professor of History at Cornell University. Katie Joice is a PhD student on the Hidden Persuaders project.